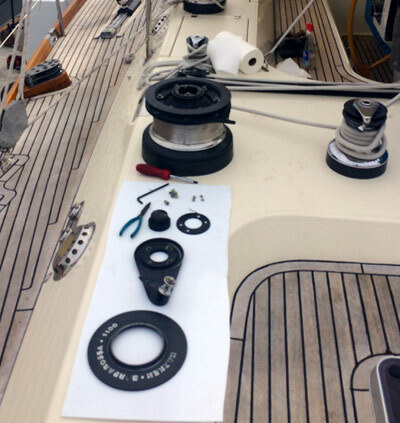 If you can’t trim in your sails all the way by hand, it might be time to get a winch to give you the mechanical advantage you need. Or maybe it’s time to have all the winches on the boat serviced to keep them in great working condition or even upgrade to faster winches for better line speed. Winches are designed to help you trim the sheets and halyards; to increase tension to achieve proper sail shape. Standard (non self-tailing) winches will require you to tail the loose end of the line to keep tension on your turns while operating the winch. Self-tailing winches free up the hand from the loose end of the line, and facilitate easier handling when short-handed. Electrical and hydraulic winches are available as a solution for short-handed sailing or in high-load situations, whether aboard a small boat or more often large yachts. Rigworks provides a wide assortment of high-quality winches from brands such as Andersen, Harken and Lewmar, all of which have been tested and trusted by the pros. Rigworks offers technical assistance to provide you with the best winch for your type of boat and the standard of sailing you would like to enjoy.